KARACHI: Pakistan Steel Mills (PSM) and Karachi Electric Supply Company (KESC) reached a deal on Tuesday on the payment schedule following which the utility company restored complete power supply to the crisis-hit steel corporation. KESC had earlier restored the power supply of the residential areas of the Steel Mills after getting assurance on the payment of Rs250 million from the company. But the power supply within plant�s boundary was still disconnected owing to the non-payment of outstanding dues to the KESC. After successful talks with KESC, PSM Chief Executive Saadat Cheema managed to restore 132 kilovolt-ampere (KVA) from the utility company. PSM has provided twenty-five post dated cheques of Rs680 million to KESC, PSM press statement on Tuesday said. Cheema said that all efforts will be made to increase the production capacity of the mill and make it a viable and profitable entity. He also said that PSM is the �mother industry� of iron and steel and enjoys the status of backbone in the national economy. The CEO also assured that the salaries of all the 16,200 employees will be paid before Eidul Fitr. Later on the CEO of the Steel Mills proceeded to Islamabad to take up the case with the federal government. 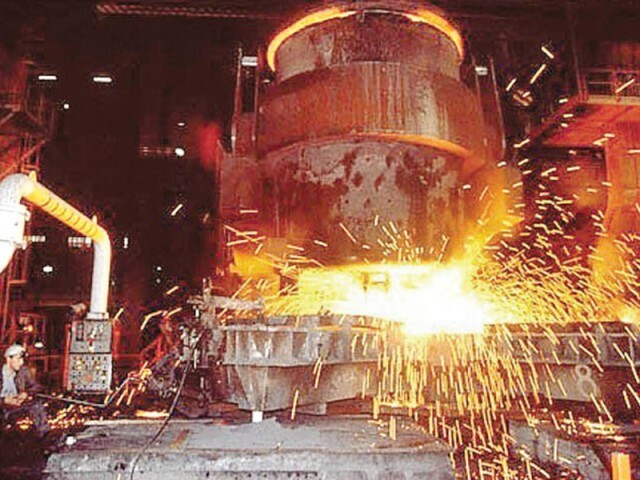 KESC on its official twitter account said that KESC and Pakistan Steel Mills have reached an agreement for the payment of dues worth Rs930 million, while the cheques submitted worth Rs250 million had been cleared on Tuesday. KESC account also stated that in order to clear their remaining dues, Pakistan Steel Mills must submit 25 post-dated cheques which should be cleared before August 15, 2013. �If any of their cheques bounce, power will be disconnected without any notice. Further extension was given due to the ailing financial position of the mill,� another tweet said. However, the all-important furnace of PSM remained operational for 24 hours with the help of Steel Mills� in-house power generation capacity. Cheema, who is also chairman of the Export Processing Zone Authority (EPZA), has been given the charge of acting CEO of PSM following the resignation of now former CEO Major General (retd) Muhammad Javed on Thursday last week.